Many thought all is well between two gospel stars, Ernest Opoku Jnr and Bro. Sammy due to the reconciliation which happened at this year’s Youth Empowerment Summit (iYes208) but it is not so. Female songstress Mabel Okyere has exposed Ernest Opoku’s hatred he has for his fellow in a recent interview she had with Zionfelix on his “uncut” program. Miss Okyere who recently released “Odi Aba” disclosed that Ernest Opoku Jnr is not in good terms with the nation’s worshipper, Bro. Sammy and she has been the sufferer of their feud. Mabel during the interview stated that Ernest Opoku has failed to pick the calls she has made to him for the past three months. On why she has been trying to reach the “Onyami Nim” singer on phone, the minstrel said she wanted to feature him on one of her songs on the new album she just released but all calls made to Mr. Opoku were not answered. Mabel Okyere continued that after Ernest failed to pick any of her calls, a sound engineer in Kumasi contacted him for the collabo and he accepted to work on the song but performed his part of the song whilst she, Mabel Okyere was not in the studio. 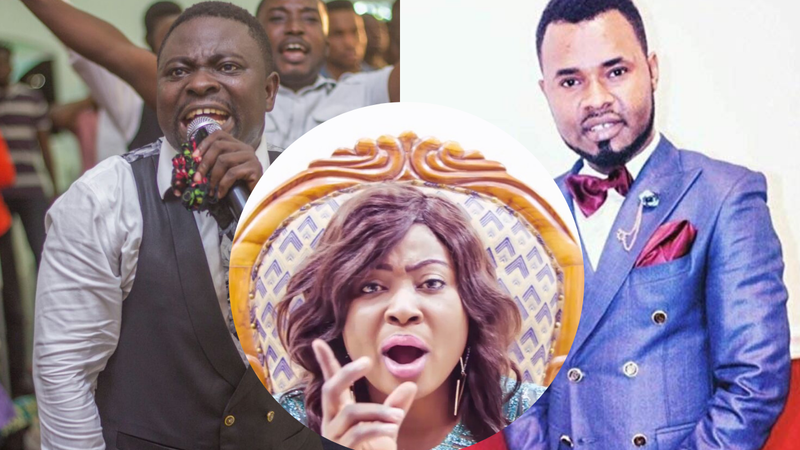 The Kumasi-based gospel musician also told Zionfelix that she tried to call Ernest Opoku after he had done the feature in her absence to thank him but he failed to pick all her calls again. Mabel Okyere giving reasons why Ernest has failed to pick all her calls said emphatically that she was told that her association with Bro. Sammy is the cause of Ernest’s action. When asked if this case happened after Prophet Brian Amoateng of the London Prayer Center brought the two together at the iYes 2018, she answered yes. To her, she believes Ernest Opoku Jnr. still has something against Bro. Sammy and she is also suffering from the hatred.